Minouche Antonin by Sylvia Natterer is a 34cm tall strawberry blonde haired vinyl boy doll. Minouche Antonin by Sylvia Natterer is a 34cm tall blonde haired vinyl boy doll. 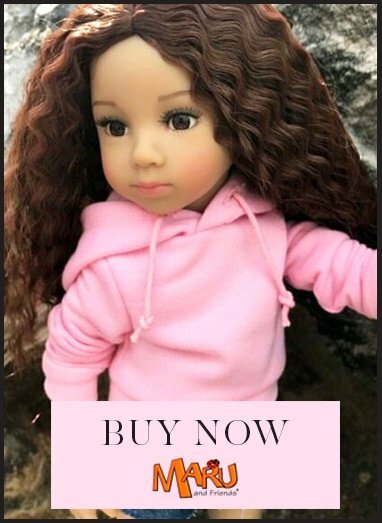 He is suitable for play for children of age 3 and over but Minouche is also very popular with collectors who understand the beauty and value of having an artist sculpted and designed doll. His face and eyes are painted in natural tones with peachy blushed cheeks and pinkish lips. His body is vinyl and he has articulation at the shoulders, hips and neck. He has a lovely ability to stand and find poses which makes him wonderful for play and enjoyment. Minouche Antonin is recommended for children from 5 years old.